The Child Safe Standards (CSS) are an important addition to Victorian legislation to ensure children feel safe and are protected from harm in all organisations. It is everyone’s responsibility to ensure this is the case. The CSS include the introduction of compulsory, minimum standards for all organisations in the State that work with children. More information can be found at the Commission for Children & Young People (CCYP) website. AFL Victoria requires each of its Affiliates and Programs to nominate a Child Safety Officer who is the initial point of contact for any report. The position of Child Safety Officer for FJFC is held by John Daniliuc (see Committee for contact details). In this role John provides a point of contact for anyone at the club to speak to if a child is feeling unsafe. The AFL & AFL Victoria ensures these standards are adopted across all areas of football in Victoria. These are incorporated in FJFC Policies and Procedures (see Child Safe Policy). Concussion is a brain injury that requires a cautious and informed response by Trainers, medical professionals, and parents. If you suspect your child is concussed, or has had concussion confirmed, please refer to documents below. Follow all medical guidelines, and do not allow your child to return to their normal sporting activities without medical clearance by your doctor. The signed medical clearance form must be emailed to headtrainer@fitzroyjuniorfc.com.au before the player can return to training or games. The following Safety Tips are provided by Deakin University to the Victorian Department of Sport and Recreation. This is an extract only. Click here for the full brochure. Players should apply sunscreen and reapply it during breaks in play on sunny days. All players should make sure that they are fully aware of the rules of the game, particularly as they relate to safety. All players, including children, should wear a mouthguard at all times during both training and competition. If possible, players should wear custom-made mouthguards. Players with a history of head injury should seek professional advice about the appropriateness of headgear. Players with a history of ankle injury should wear some form of external ankle support, e.g. taping. Thigh protectors may be useful for players who have suffered a recent cork thigh or those with a history of significant cork thighs. All competitive players should undertake appropriate pre-season conditioning. Advice about the content of the pre-season training program should be sought from a coach or fitness advisor. All players should develop football skills and good technique before playing in competitive games. Children and new participants should undergo a pre-participation medical screening examination with a qualified and experienced practitioner. All players should warm-up for about 20 minutes before a game.This should include stretching to increase flexibility and slow jogging which progresses to more intense running activities, with and without a football. Players should have a balanced, nutritional diet. Players should ensure that they are adequately hydrated (i.e. had enough water) before a game. Players should seek professional advice about the most appropriate boots to wear for their playing conditions. 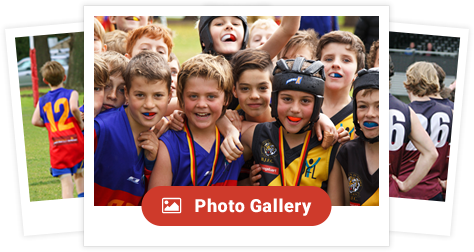 The safety information above is consistent with the position statement published by the AFL Community regarding the role of helmets and mouthguards in Australian Football. The FJFC align with this position which is based on advice provided by the AFL Concussion Working Group and AFL Medical Officers’ Association. Please click here to access the position statement. See our Safety & Wellbeing Resources page for further information.